Voted "Best Casino in the Grand Canyon Region for 2017" by U.S. News and World Reports. 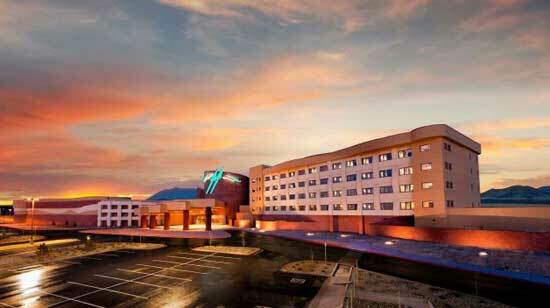 Voted "Best Casino Resort Destination of 2013" by the readers of Experience Arizona Magazine. Bingo - see our special Twin Arrows Bingo page for information. Poker Room - Texas Hold 'Em, 7-Card Stud, Pai Gow Poker and Omaha. Located 25 miles east of Flagstaff is the Twin Arrows Casino. 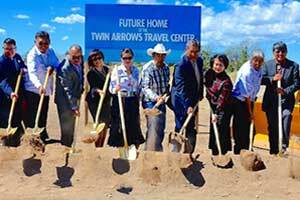 Owned by the Navajo Nation, the casino will be adding a new travel center. On Thursday ground was broken for the new center. Summer 2019 is when the project is scheduled to be completed. In addition to the travel center, there will be a gas station, a convenience store, and a service center for trucks. Working on the project will be 20 Navajo college students. So far, 8 students have been selected. Credit will be earned for the students towards the college for their contributions in construction and design. The students will also learn about human resources, management, and marketing. Construction jobs have created 200 new positions. When the project is completed there will be 35 full time jobs.